Lauren Rebecca: Planning Your Disney Vacation: Tips From A Pro. Planning Your Disney Vacation: Tips From A Pro. So many of you asked who plans my vacations...I asked my Disney Vacation Travel Agent (and sister) to share her tips. You can see more of her posts here. Or like her on Facebook Here. Planning your Disney vacation, tips from a pro! One of the most common things I hear as a travel planner from people who are planning a trip to Walt Disney World is how confused they are with the process and that they don’t know where to start. I can totally understand how a novice can get completely overwhelmed with this since there is so much involved in a Disney trip nowadays! Gone are the days of just packing up and heading to The Magic Kingdom and expecting to get on every ride, see every character or dine in any restaurant of your choice without advanced reservations. We now live in a world where you really need a minimum of 6 months (180 days) to get your place in line for the most recent rides & attractions, character experiences, and top dining venues at WDW. Disney understands this hence the reason they train vacation planners such as myself to guide vacationers along so that they don’t get consumed by details but rather enjoy the experience. One major myth people believe when they begin toying with the idea of a vacation to Disney is that they will get a better deal by booking their vacation by themselves online. DO NOT DO THIS!!! I REPEAT….. DO NOT BOOK YOUR VACATION ON YOUR OWN!! Like I mentioned in the previous paragraph, Disney trains and pays individuals like myself to assist you with your planning process. What people don’t realize is that even when they go online and search for the best possible rates from any one of the travel websites and think they are getting the best price they actually are forfeiting one MAJOR service that is included in the price they are paying….A personal travel planner. Yes, in every package you might find for a Disney Vacation both on and off Disney property includes the service of a Disney Vacation Planner. They don’t tell you this when you are getting a quote because they are in hopes that you don’t know this and then are basically getting paid for a service that isn’t provided. So my very first piece of advise is to get an Authorized Disney Vacation Planner to assist you with your planning. I personally never charge any additional fees to use my service when booking a Disney vacation. Make sure you find a planner that doesn’t because some do. Another benefit of having a vacation planner is that not only are we capable of making all of your resort bookings, dining reservations, ride & attraction Fast Pass+’s and customized itineraries but we also can monitory your reservation for additional promotions that Disney releases. What does this mean? Well, if you were to book your vacation on your own through any one of the travel websites you would be locked into that plan/rate and wouldn’t know if any future promotion or discount became available. When you book with a ADTP (Authorized Disney Travel Planner) we notify you if/when a savings may occur and then apply the savings to your existing reservation. We can do this up until the reservation is paid in full. Lastly, another extremely helpful benefit of having a ADTP is that we can book your vacation with a minimal down payment and set you up on an affordable monthly payment plan. Now this is more or less a “Disney Vacation Layaway”. There are no fees for this and we don’t run your credit since it isn’t a financed vacation (although if you want to finance it you can apply for a Disney Visa and use that to make your monthly payments but it’s not necessary). The amount of your monthly payment is determined by the total cost of your package and amount of time before your travel dates. All packages must be paid in full 30 days prior to check-in. There are many factors that come into play when deciding on a time to visit Disney. Weather, School breaks, Holidays, Special occasions are just a few things to consider when picking a time of year to go. Summer months (June through August) are usually very hot and crowded. Winter months (December through February) can be cooler than you’d expect, not swimming weather, and can get extremely crowded around the holidays. Spring and Autumn (March & September/October) are my personal favorite times to travel to Disney. Smaller crowds, great weather, and some special events such as Flower & Garden Festival, Food & Wine Festival, & Not So Scary Halloween Party. One year in advance might seem a little excessive but its not when your destination is Disney. In order to grab one of the coveted dining reservations at the most popular restaurants you (or your ADVP) will need to be setting those up on the 180 day mark. Also, the further away you are from your travel dates the longer we can stretch out your monthly payment pan. Whatever time of year you choose you should seek out a professionals help about 12 months in advance. #3 Determine a Budget and Stick to it. Lots of people think that Disney is just way too out of their price range. With the help of a good travel planner it can be affordable for just about anyone. Shorter stays in a value resort off season can be the most reasonable while longer stays during peak or Holiday seasons in a deluxe resort can get pretty pricey. Have a realistic price point that is attainable for your family and don’t stray from it. A good ADTP will also be able to give you some money saving tips to help you out as well. Opening up a Disney Savings account is a helpful tool. Disney offers their own savings accounts or you can open one up at your local bank or credit union specifically for vacation. Deposit into it every week consistently. Use those funds for in park spending or dining if you don’t get the dining plan. #4 Do your research & make a list of questions to ask a pro. Its a really good idea to “get to know Disney” even if you have been before. Things are constantly changing at WDW. I have been going to Disney just about every year for the past 8 or 9 years and then on and off ever since I was a young child. People always say “don’t you get sick of it?” and my answer to that is “No Way! !” Things change so frequently that each time my family goes back we see and do different things that we hadn’t seen or done before. Visit the Official Disney website www.disneyworld.go.com and explore. View the different resort tiers and options. Read up on different rides and attractions that your family might enjoy. Research restaurants that you might want to try out. Become familiar with all of your options at WDW and make a list of questions you might have for your ADTP. 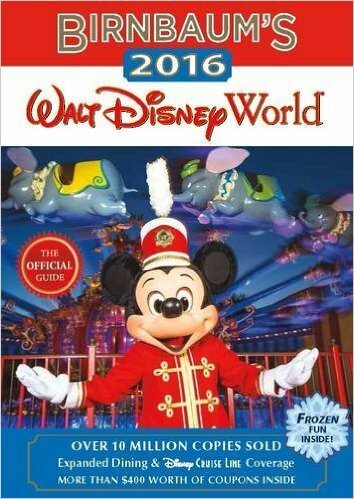 Pick up Birnbaum’s Official Walt Disney World Guide http://www.amazon.com/gp/product/1484720326?keywords=official%20walt%20disney%20world%20guide&qid=1458143798&ref_=sr_1_1&sr=8-1 and bring it with you everywhere you get a chance to read. I spent many nights soaking in the tub reading up on my upcoming Disney vacation. If you have young children include them when you are doing research. Some of my daughters favorite memories are of us reading out of the Birmbaum’s Book before bedtime or watching our favorite Disney Youtube Vloggers cuddled up on the couch. This is a great way to raise the excitement of your trip and also helps them understand what to expect if this is their first experience with rides and characters that might be a bit overwhelming for younger kids. Now that you have picked out your resort and decided on how many days you will be visiting Disney your enthusiasm is running wild with excitement. After viewing all the travel books and youtube vids it is very easy to have a list a mile long of “to do’s”. One thing I always remind each and every one of my clients is that “DISNEY IS HUGE”!!!!!!! Unless you are fortunate enough to spend an entire month on holiday in the parks it is ver unlikely that you will be able to do and see everything that is on your “must do” list. On average my family stays for 9-10 days at Disney and we still don’t accomplish everything we originally plan. It is much less stressful if you take on Disney with a relaxed attitude. Don’t stress if not everything can be done this time around (there’s always next time). I always suggest that when you are making your “must do” list that you put a *star next to 1/3 of the attractions/rides that you really want to do the most. Those will be the attractions that we book Fast Pass+’s for and you will accomplish first. If there is time left for the remaining its a bonus. I also urge my clients to include an “OFF” day where you can spend some time at the pool or exploring other areas such as Disney Springs or the Boardwalk. Going Gung-Ho in the parks can be exhausting especially with little ones and breaking up your time between parks and leisure activities can be the make or break of a successful vacation. As a kid I remember walking through Disney World seeing the Characters just walking along interacting with people throughout the park. Sadly this isn’t the way anymore. Thanks to larger quantities of guests and less respect for other people, Characters are now located in in specific areas where you have to get in line to interact with them. Sometimes the lines can be as long as a 70 minute wait, which in my opinion is a complete waste of precious time. The best way to get that beloved photo op with your or your childs favorite disney pal and skipping the long lines is at a character meal. If you are not on the dining plan opt for a character breakfast, its more reasonable and you get a better bang for the buck. The Crystal Palace in the Magic Kingdom or Tuskerhouse at Animal Kingdom are favorites of our family. Other good options are Ohana at Polynesian for breakfast, 1900 Park Fare at the Grand Floridian, or Garden Grill at the Land Pavillon in Epcot. Character meals are a hot commodity so you want to make sure that you or your travel planner are in line to make a reservation right on the 180 day mark in order to get a prime dining time at the highly sought after spot. What is a Disney hobby and why do I want one? Over the years of my family traveling to WDW we have found that visiting Disney is more than just riding the rides and viewing the shows. It is an immersive experience that allows every family to create their own personal experiences. Doing a disney hobby is a way for the whole family to interact with each other and work towards a common goal which in turn creates lasting memories that are not only mental but physical. There are lots of Disney hobby’s to choose from, Pin trading, Coin pressing, collecting stamps or candy from around World Showcase in Epcot (see one of our previous vlogs on our Youtube channel), Playing Sorcerers of the Magic Kingdom, or becoming a Wilderness Explorer in Animal Kingdom. There are more that I’m not even mentioning but as you can see there are a lot. Many of these “hobby’s” are either Free or cost very little to start but allow you and your children to have something physical to hold on to and take home reminding you of your adventures. This is one of those tips that I get grief for all of the time but I stand by it! I am a planner by nature and I am usually all packed for vacation a month in advance however many of the people I speak with say they don’t start packing till the week of their check-in date. All I can say is that this is a disaster waiting to happen!! At least start a packing list so that you can add to it as time goes along with things that might just pop up in your mind. Too often I hear that people forget the sunblock or phone chargers, or forget to buy a SD card for their camera and then get to their resort only to be forking over an excessive amount of money to replace things. Especially if you have children or multiple people to pack for its an extremely helpful tip to start your lists early and keep them handy to add to up until you actually start putting things in your suitcase. There are a lot of benefits to booking your next Disney vacation before you check-out of your existing vacation. If you travel within the same year you can upgrade your current park pass to an annual pass for a significant savings on park admission plus many other perks that go along with annual membership. Very often your resort will offer what they call a “bounce back” offer. This is usually posted in the packet of information that housekeeping leaves in your room when you check-in. If you don’t see any information on discounts for your next stay ask concierge and if they do have an offer get the offer code but DO NOT book directly with them. Contact your travel planner with the offer code and be prepared to re-book with them before you check-out in order to get the savings. Most reservations require a $200 deposit to book so include that in the budget if you wish to return to Disney within the next year.